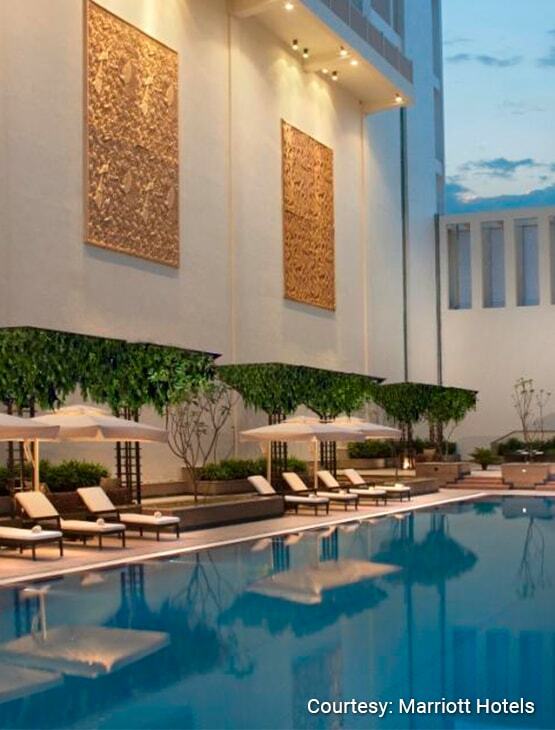 Located near the Jaipur International Airport, the hotel offers world class facilities. Okra offers all day-dining and delicacies from around the world. 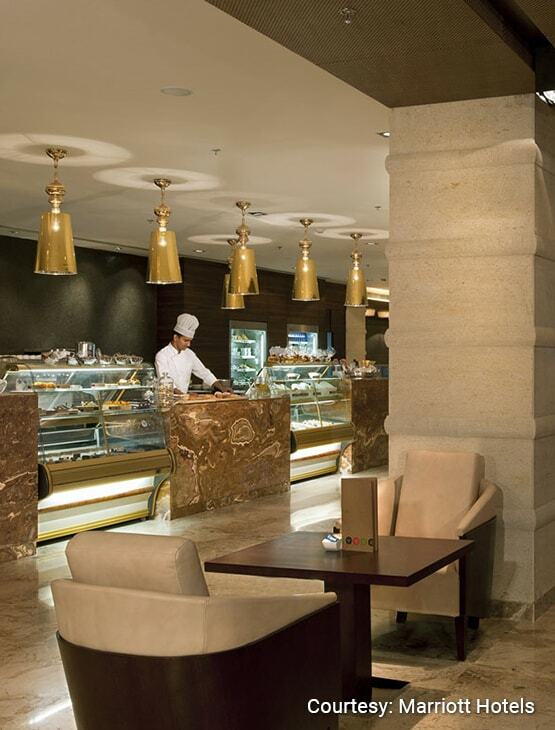 Enjoy Indian cuisine showcasing local Jaipur-area fare, kebabs, curries and biryani at Saffron. Jaipur Baking Company is perfect for those on the go. The delicatessen and bakery offers gourmet sandwiches, soup, salads, coffees and hand-rolled pralines. 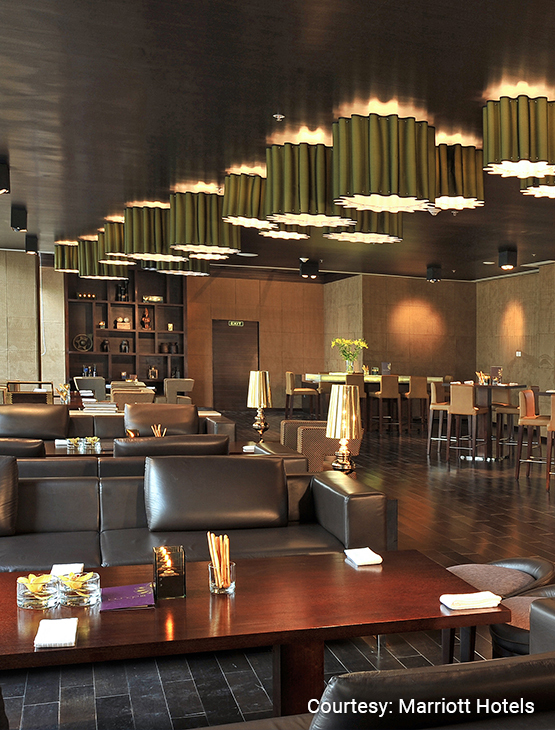 Lounge 18 is a transitional lounge bar with great ambience and a delectable menu. 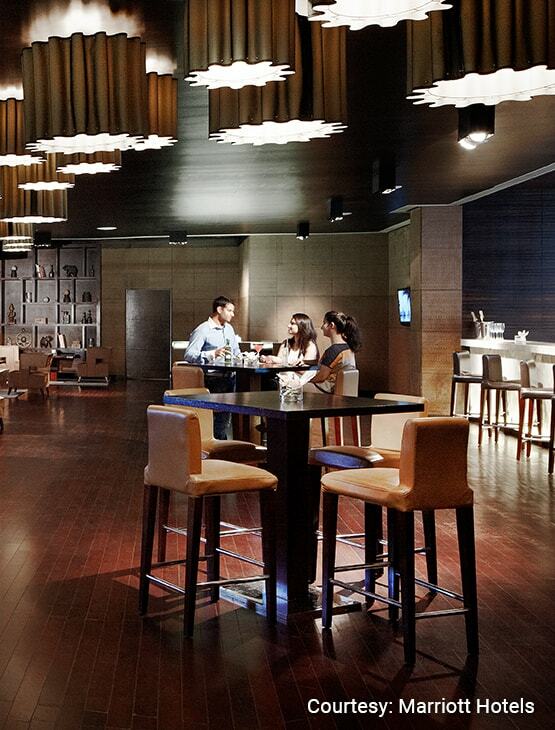 30% off on the food and beverage bill up to a maximum of fifteen (15) guests on a table. 40% off on the food and beverage bill up to a table of fifteen (15) guests on Member’s Birthday. Please present a valid date of birth proof to avail of the benefit. One (1) certificate entitling the Bearer to a buffet breakfast for two (2) guests at Okra. This benefit is not valid over Sunday Brunch. One (1) certificate entitling the Bearer to a buffet lunch or dinner for two (2) guests at Okra. This benefit is valid from Monday to Friday. One (1) certificate entitling the Bearer to a 50% off on the total food bill and a 30% off on the total beverage bill over lunch or dinner at any of the restaurants at the hotel for a maximum of ten (10) guests. This benefit is valid from Monday to Friday. Two (2) certificates entitling the Bearer to a Chocolate Cake (max. 1 Kg) or a bottle of House Wine while dining at any of the restaurants at the hotel. 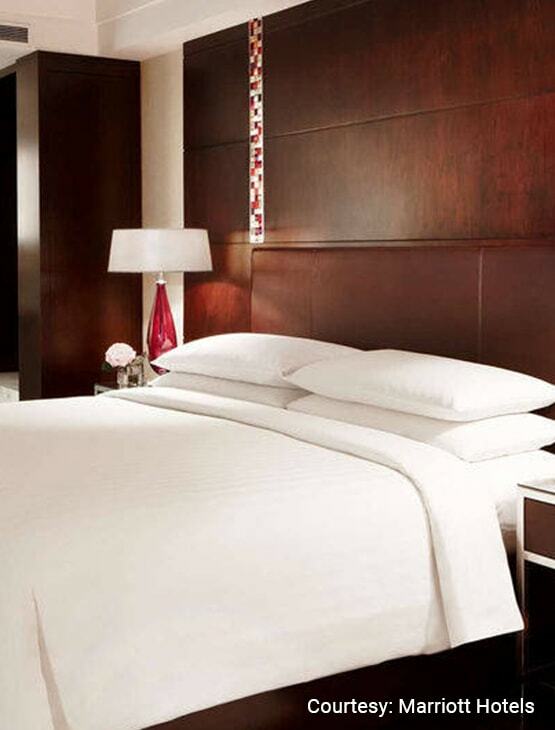 One (1) certificate entitling the Bearer to a one night stay in the base category of rooms. This benefit is valid for two (2) guests on any day of the week . Two (2) certificates entitling the Bearer to a 30% off on the Best Available Rate on the base category of rooms over weekends (Friday, Saturday and Sunday). Five (5) certificates entitling the Member to the day use / access of the hotel Swimming Pool (for two adults and two children below the age of 12 years) or the Gymnasium (for two adults) at the Health Club. This certificate is valid from Monday to Friday. House rules apply. One (1) certificate entitling the Member to a 50% off on select massage treatments for a couple. This benefit is not valid on any other service at the Palm Spa.